Your journey home begins here after a hospitalization. 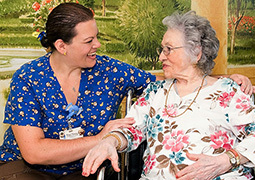 Welcome to Kings Nursing & Rehabilitation Center where over 80% of our rehabilitation patients return home. That means that over eighty percent of the patients that come to us for rehabilitation go back to where they were living prior to their hospitalization. 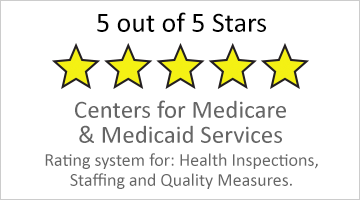 If a patient is in need of further care, we will assist in transitioning them into an assisted environment or skilled nursing center. Our team of dedicated professionals strives to provide the best quality care for our patients and residents. Kings Nursing & Rehabilitation Center is a 67-bed center with a recognized reputation for excellence that now stands out among centers throughout the valley with its Rapid Recovery Rehabilitation program and specialized therapy gym. Our Kings Fitness Therapy Pavilion gives our patients and residents the best possible chance to achieve goals of maximizing independence by bringing the real world to a clinical setting. Unlike other therapy centers throughout California, our pavilion houses a vehicle, a simulated grocery store and a fully furnished model apartment to help patients and residents in their recovery efforts. We encourage you to visit us anytime. Stop in for a tour or contact us for more information. We look forward to serving you. For more information, please call us or e-mail us at info@missioncg.com.